No matter what your reason – religious, occupational, personal, or just plain taking a break this year – not celebrating on Christmas Day doesn’t have to be a bummer. You can create your own traditions, make it a day of great productivity, or on the opposite end of the spectrum, save the day for rest and relaxation. Whatever you decide, you can still make the most of the day, either by yourself or in the company of those you love. If you want to try something new and different on December 25 this year, aside from all the gifts and holiday cheer, consider these Christmas Day alternatives, with a selection of both small activities and grand plans. 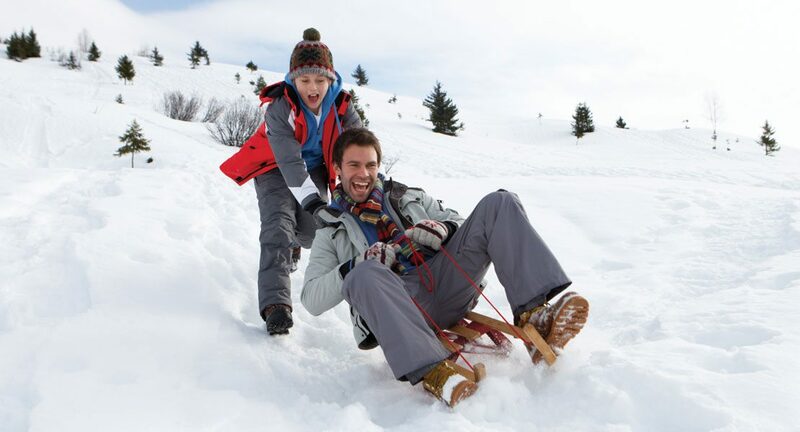 If the weather permits, plan to spend some time outside enjoying the wintry wonderland. A snow-covered Lehigh Valley leaves us with options to go skiing, cross-country skiing, snowboarding, sledding, or even to get together with some friends for a game of snow football. Without the snow, you may still be able to go ice skating if you have your own skates and if the weather is cold enough. If you don’t have your own patch of ice nearby, you can search for local ponds and lakes – just be sure they are frozen and safe for skating – or even Allentown’s own synthetic ice rinks that are suitable no matter what the weather. Just because you aren’t celebrating the holiday doesn’t mean you can’t be with the ones you love. December 25 is a great day to spend time with people your care about, even without focusing on the holiday. Most people have off from work no matter what day of the week Christmas falls on, so it’s an ideal time to schedule a little family time, even if it’s only for an hour or so over dessert. Why not get together for a nice meal at one of the Lehigh Valley’s restaurants that are open on Christmas Day? December travel plans can be worth their weight in gold, especially if you’re ditching the cold for a warmer climate. Plan a cruise for an all-inclusive excursion with little hassle or put together your own dream vacation just the way you like it. You can also stay relatively local, visiting a nearby monument or landmark, which will likely be accessible even on Christmas Day. Even if you don’t go very far, you can still pamper yourself by booking a hotel and treating yourself to some room service and movie marathons. Whether you go to Atlantic City, Vegas, or at the Sands right here in our own backyard, a trip to the casino can be a fun way to pass the time while taking a chance on your luck. Some games, delicious food and drinks, and a lively nightlife will surely keep the time flying by, so be sure to rein it all in and enjoy. Chinese restaurants are known to stay open on Christmas Day, making them a wonderful option for a hot and satisfying meal. Whether you choose takeout or prefer to dine in, the Lehigh Valley has many great Chinese food restaurants to consider. You can make this delicious cuisine a part of your own annual tradition when this time of year approaches. You don’t have to celebrate Christmas with all the bows and presents in order to appreciate the beauty of lovely downtown Bethlehem and surrounding areas. Enjoy the lights, the decorations and the crowds of people all enjoying each other’s company in the spirit of the season. A simple walk through Bethlehem taking in the evening air can be the perfect way to wind down after a long and tiring year. See if you can find a local soup kitchen or food bank in need of a little extra help Christmas Day. You can use the handy search feature at the website of Second Harvest Food Bank of Lehigh Valley and Northeast Pennsylvania (shfblv.org) to find organizations located in or near your own zip code. You can also inquire with area animal shelters ahead of time to see if they will be open on Christmas or in need of someone to come and help with care and compassion for the animals.